When Young Adult buku Are Banned oleh Jennifer Brody via FilmCourage.com. Who is penulis of “Are anda There God? 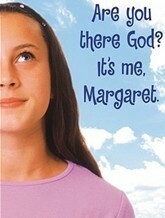 It's Me, Margaret”?